Headed out to happy hour tonight? Then you must try the hippest thing at the bar right now, the barrel aged cocktail. It is just what it sounds like. Take a classic cocktail and age it like wine for 4-6 weeks. Why you ask? Mixologists swear that by aging the cocktails in wood barrels it melds the flavors together creating a smoother drink. These aged cocktails are comprised of only alcohol, like the Manhattan, Negroni, and Martini. Last month, Robert Simonson wrote a New York Times article about the trend and his own experiment at home. If you are that brave, check out Jeffrey Morgenthaler's Bar Bandits blog which includes recipes. I think I'll leave it to the experts. 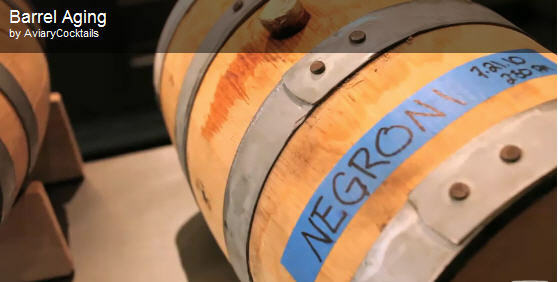 Here are a few spots known for their barrel aged specialties. Cheers!